Valentine’s Day is all about love and romance that brings happiness galore for lovey-dovey couples. Oh, the joy of walking hands in hands and getting lost in each other’s eyes! Quite surreal it is. There is no feeling as beautiful as being loved and pampered on Valentine’s Day. But conveying feelings to your partner on V-Day and planning the entire day ahead can be quite stressful. The pressure of making this day perfect can actually get on your nerves and may ruin things for you. But there’s nothing to worry because we have got it all covered for you. With the day of love n romance around the corner, we have come up with some fantabulous ideas to help you express your love in Bollywood style. In the movie Dil to Pagal Hai, Shah Rukh Khan, the king of romance & Madhuri Dixit admitted their feelings for each other in the middle of the play. Quite romantic! Taking a hint from this scene you can show up to your sweetheart’s place on Valentine’s Day with a romantic gift and a bouquet of red roses. Having no clue, your lady will be amazed to the core and love each bit of the surprise. If you can cook really well and your partner is a foodie, then Valentine’s Day is the right time to put your culinary skills to some good use. 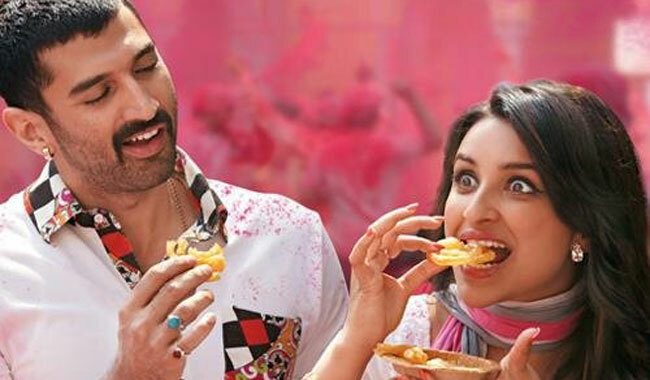 As Aditya Roy Kapur prepared lip-smacking delights for Parineeti Chopra in Daawat-E-Ishq. You too can prepare a delicious Valentine’s Day meal for your partner with the special ingredient of your love. The good food and good company will definitely spell the magic of love on them. Do you remember Amir Khan’s proposal to Preity Zinta in a dance club in the movie Dil Chahta Hai? Try imitating it in real life. You can ask your crush out for a movie or a romantic dinner and then make a public proposal. It takes guts to make a love proposal in front of many strangers, but if your love interest fancies PDA, he/she is definitely going to love it. Remember how Rajkumar Rao did everything in his capacity to woo Kananga Ranaut in the movie Queen. 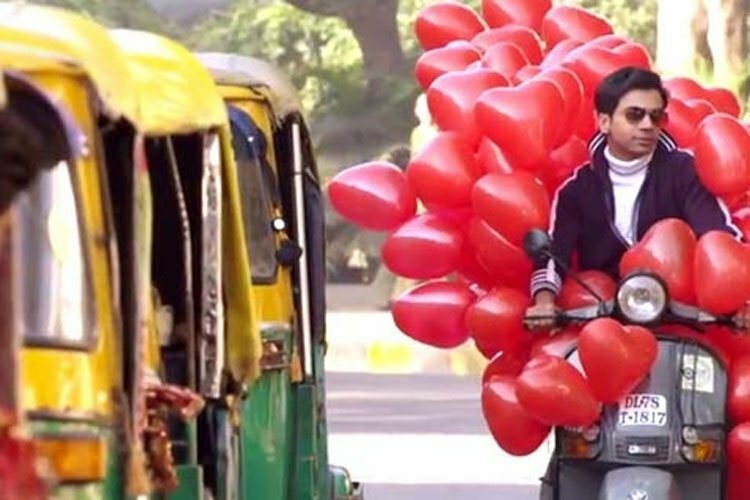 But nothing can beat the scene where he tries to win Kangana’s heart by riding a scooter full of red heart-shaped balloons. The plan may sound a little crazy, but it will definitely make your partner smile if you show up at their place with heart-shaped balloons for Valentine’s Day. After all, V-Day is all about getting mushy. So, don’t hold back and just go for it. It will make a memorable moment for you two that will always bring a smile on your face. We hope these ideas help you have a great time with your beloved on Valentine’s Day and make it really special for you two.